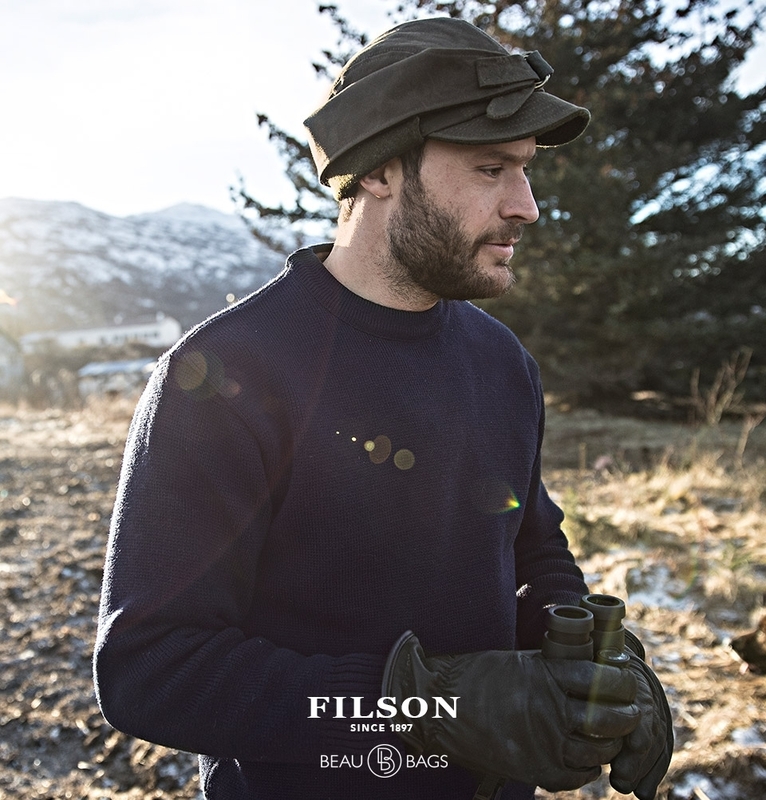 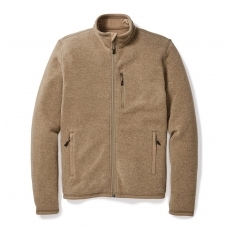 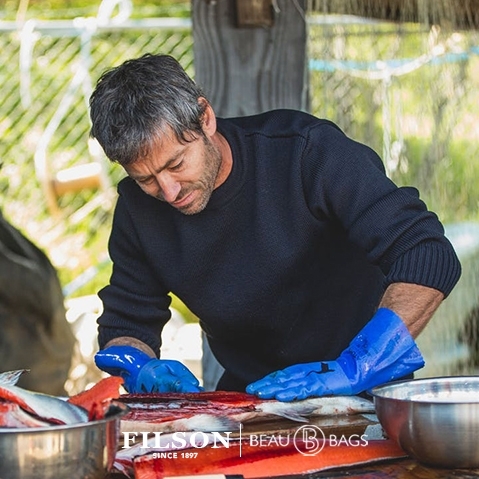 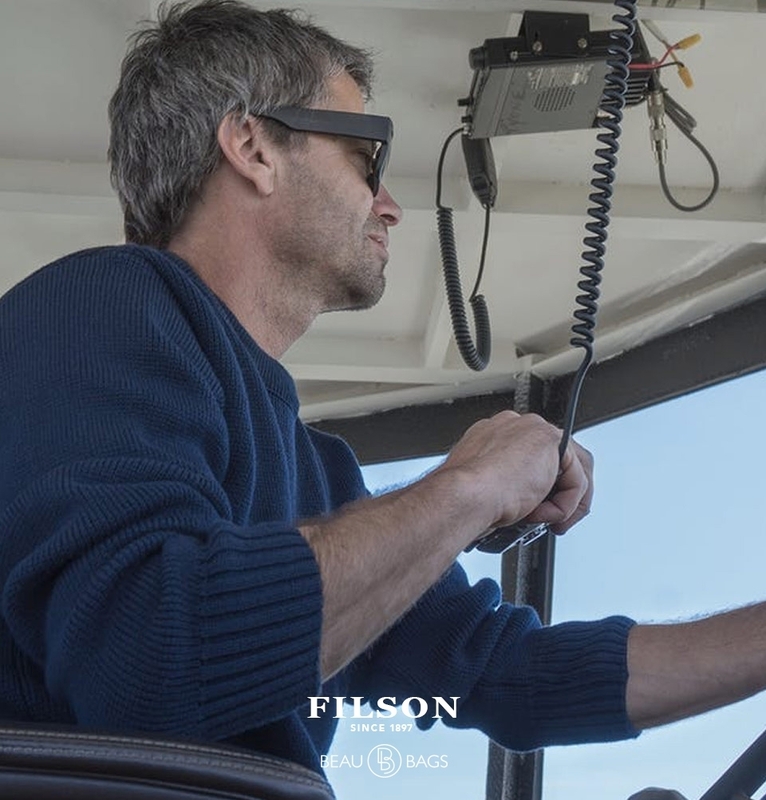 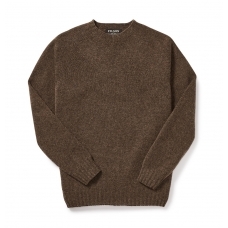 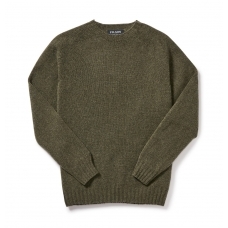 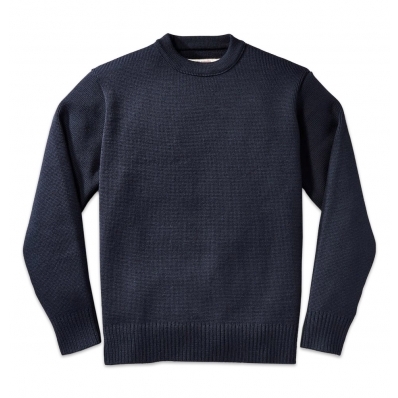 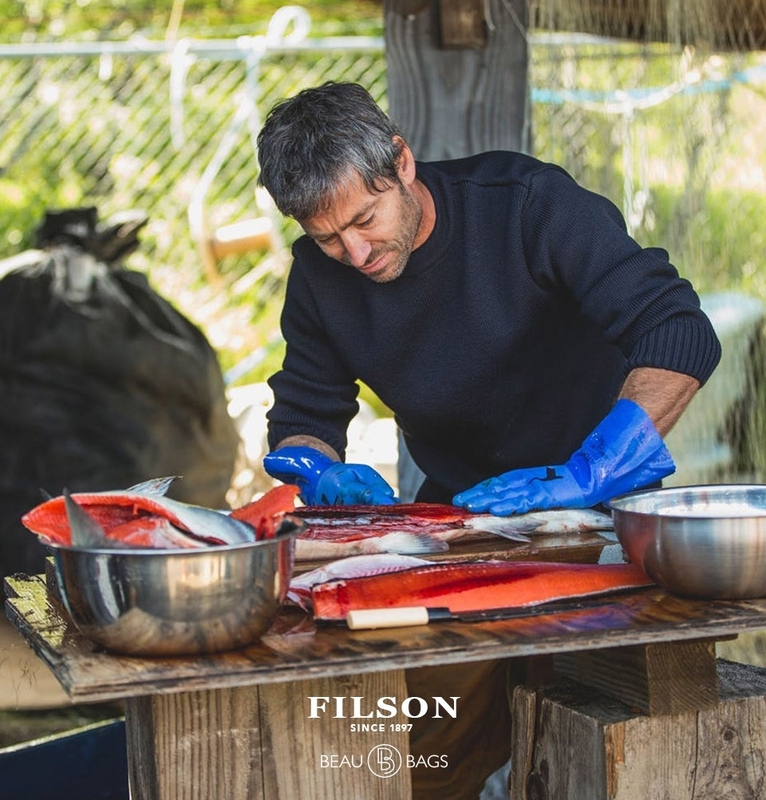 ﻿ Filson Crew-Neck Guide Sweater 11010691 Navy, made with 100% Merino wool. 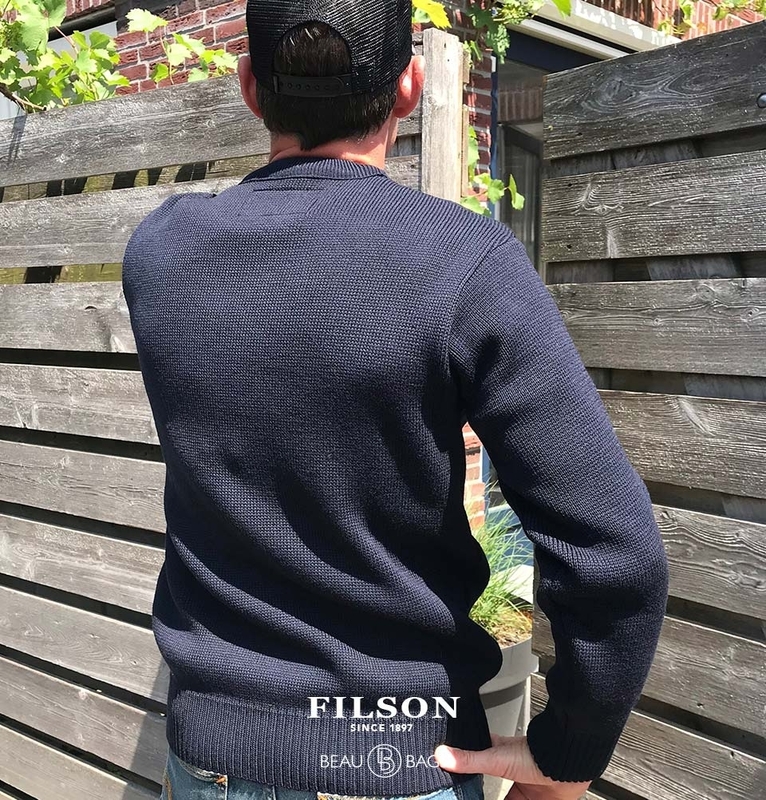 Warm knit sweater made with 100% Merino wool, insulates while remaining naturally rain-repellent, breathable and sweat-wicking. 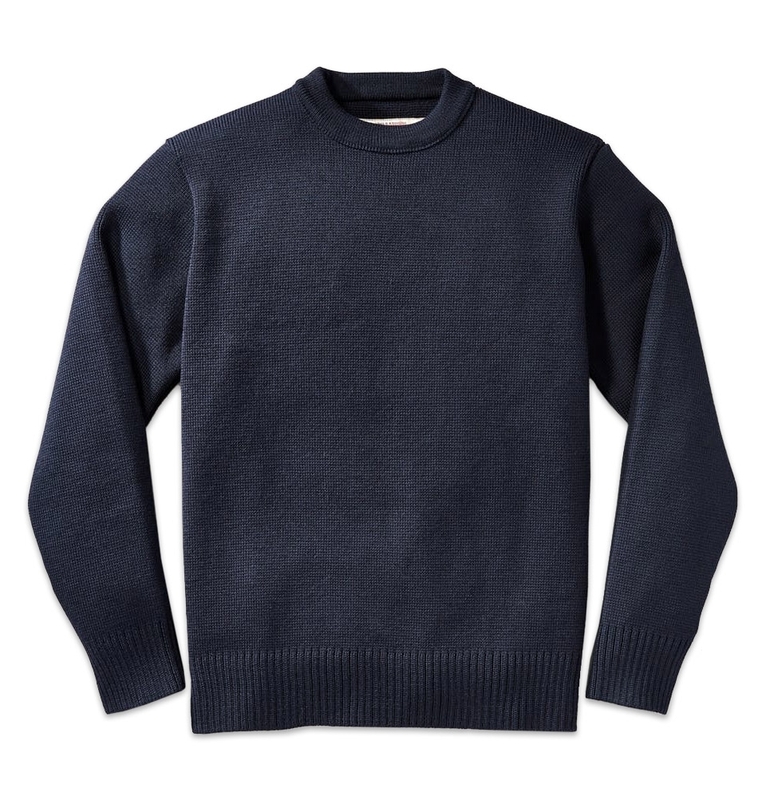 This warm knit sweater is made with 100% Merino wool, using highly-twisted yarns for added durability that resists piling with wear. 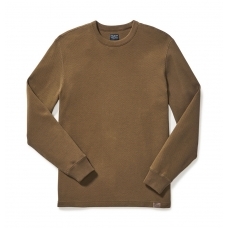 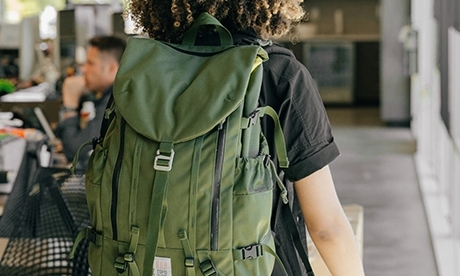 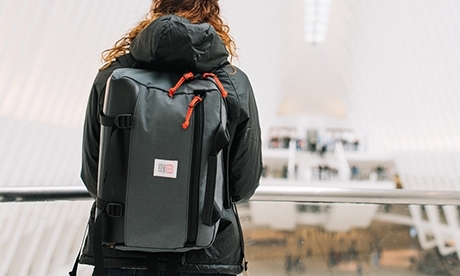 It insulates while remaining naturally rain-repellent, breathable and sweat-wicking. 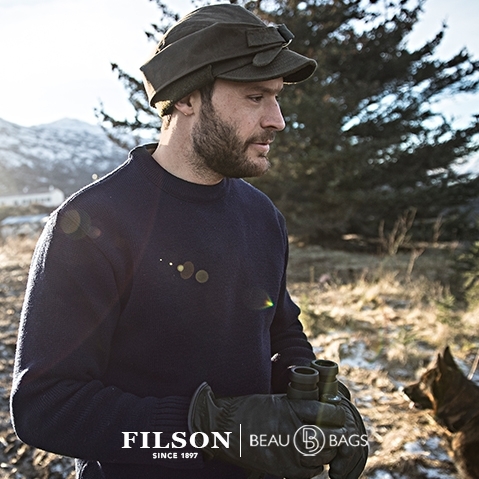 With its crewneck design, ribbed cuffs and ribbed hem it's an ideal pullover for layering in cold weather.